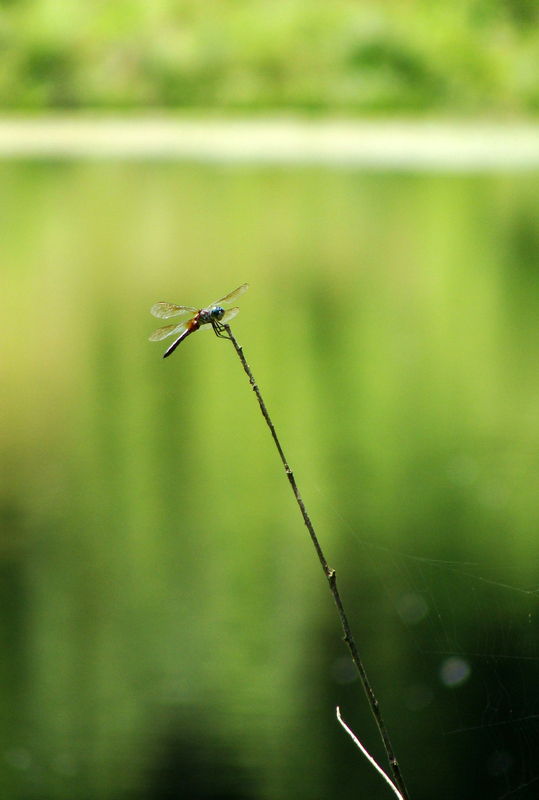 SIMPLE — A dragonfly on a stick. Doesn’t get any more simple than that. 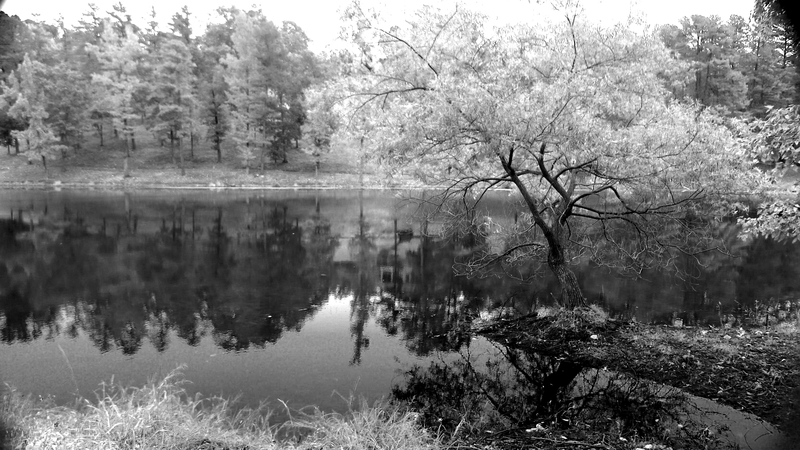 Infrared is fascinating for the fantasy quality it lends to images. 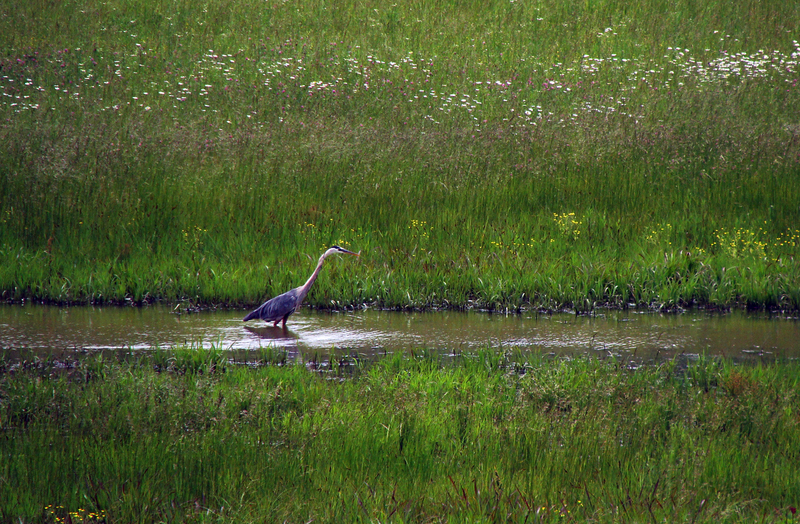 There’s a lot going on in this image, it’s also somehow meditative as the eye wanders through it. 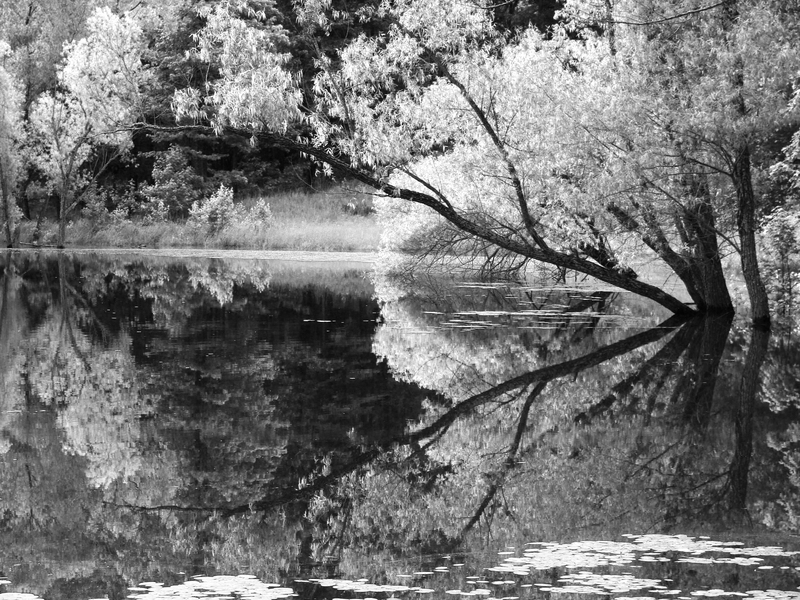 BY THE POND — Tree leans over the placid pond. 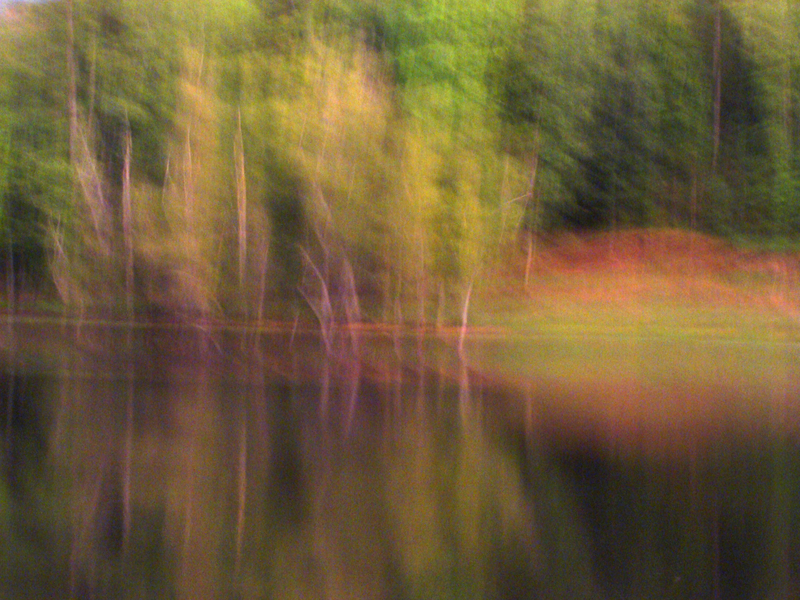 A little engine vibrato, a dip in the road and a longish exposure added up to an impressionistic feel. Yesterday’s hill workout (with camera, of course) was a story of cat(tails) and dogs. 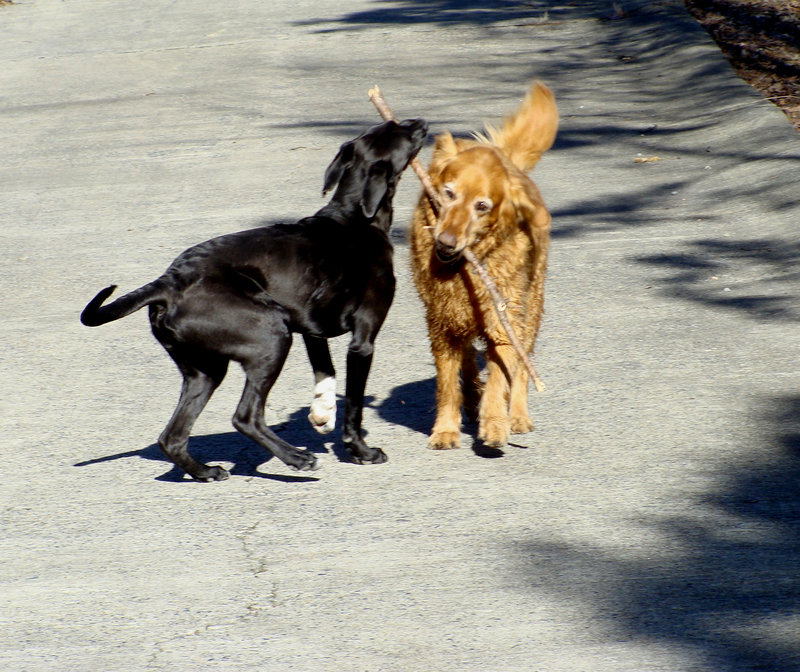 The two furry fellows from next door tussle over a stick after a dip in the pond. Both ere enjoying the 75-degree weather at the end of January. 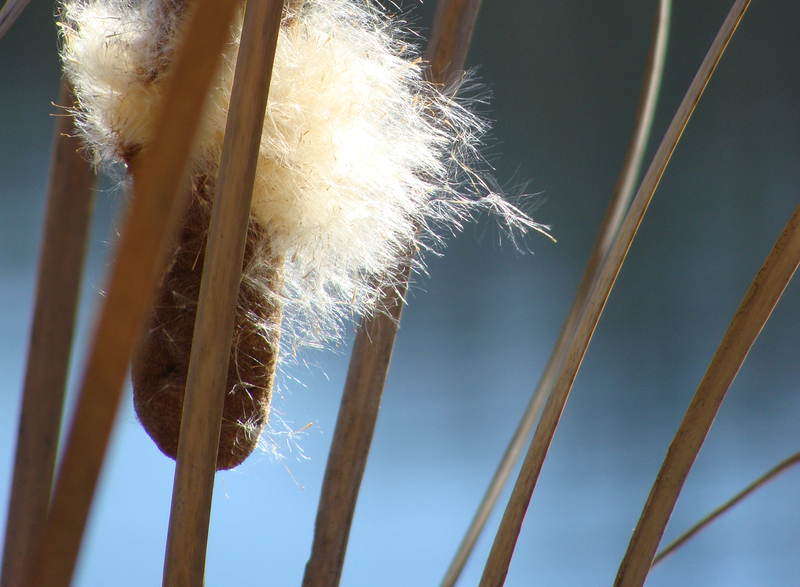 "Ripened" cattails release their parasails in the warm January breeze.